Nice to be able to see the clock. I have seen clocks like this for many years, but they were mostly in businesses. Well, I love it in my kitchen on the wall across from me at the table. I did not think too much about the day and date being displayed, but so many times I do not remember what day or date it is and this helps me. The Clock was a gift to a retirement center. Looking at all the negative reviews, there must have been quite a few faulty clocks sold because mine works perfectly and keeps excellent time! I'm very happy with my purchase. 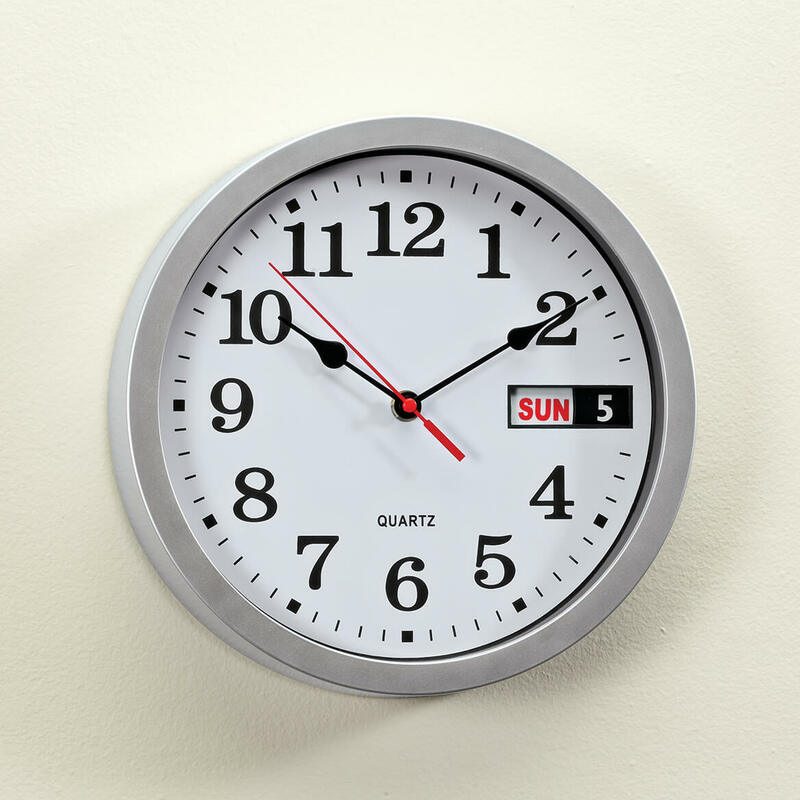 I saw all the Negative Comments on this Retro Calendar Wall Clock and thought to myself, take a chance. I went with my gut feeling and I was right. 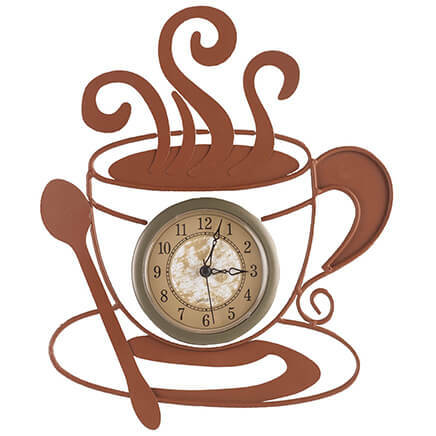 It's a beautiful and wonderful Wall Clock. The set Date is perfect. You must read the instructions before setting up the Clock. Some folk said ...It does not work. The reason it does not work is because you did not take the time to read the instructions. This is a beautiful and wonderful RetroCalendar Wall Clock and I am very glad I purchased it. It's great for those of us who need reminders of "What Date is it?". Don't believe any Negative Comments until you have tried it yourself. A+ from this old Grade Teacher. YOU PUT BATTERIES IN IT AND PUT IT, SET THE TIME, DAY OF WEEK AND HANG IT UP AND IT WILL GIVE YOU ALL YOU NEED. This clock was the right size to replace the kitchen clock . easy to read, like the day and date. Since I am retired now I know the days!!!!! This clock has been keeping great time. However if you want it to tell ;you the day & date forget it. This clock keeps its own date and date, not the one that is I would expect to see. So I just read the time and enjoy looking at my beautiful clock. Use it for elderly parents who forget date and day of week. 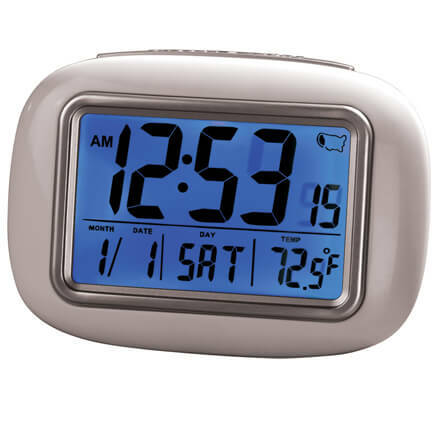 This clock helps them to remember to take their medications for the day. It is large and easy for them to read. I had difficulty setting the date and day of week because it kept changing before the day was over so was confusing. Tried setting it at different times of the day. Still working on it. The clock came with a piece broken off the rim. The calender didn't move so didn't work. Called customer service, it was out of stock but will replace it when they receive it. The clock does keep time, so far..
Poor functional design I have to reset the clock every morning because it stops running between 1 and 3 AM. This when the day date change and the thing can't move the dials. Date and don't work does not change with the time. This clock is large print and easy to read. Looks nice on the wall. However, the day of the week and the day of the month did not change automatically at midnight. You have to manually change it yourself. Needless to say, this product is on it's way back to Walter Drake! That is the only reason I bought this clock, and it will not work, they offered me some kind of refund on the next order, but not for the total amt of the clock, I never used it. Save your money, too many bad reviews. 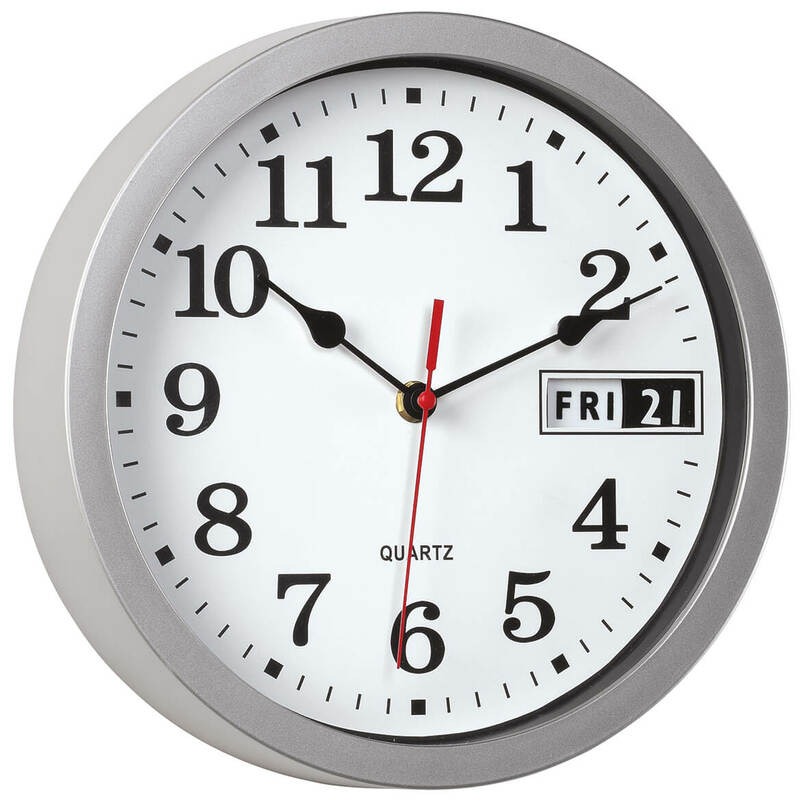 This clock is junk---one battery is not powerful enough to drive the minute and hour hands AND rotate the day and date wheels. Don't bother wasting your money IMHO. It was broken and does not work properly. I really wanted to like this thing, and was excited when it came. I'm terrible at remembering which day of the week it is. (retirees syndrome) Since day 1 I've had problems with it. Have to reset it every few days, AND change the battery. I've gone through nine (9) AA batteries since late Sept. The giant plastic gears that turn the day of the week and the date are just way too much to run on a single AA battery, which is all it can hold and all it's been designed for. The prices are within my range and ordering is easy. I like the large print numbers. My friend I'm having this shipped to NEVER knows what day of the week it is. Hoping this will help. I ordered a similar one from another company, but the clock did not work when she received it. Love the retro look for my kitchen. Simple and functional. 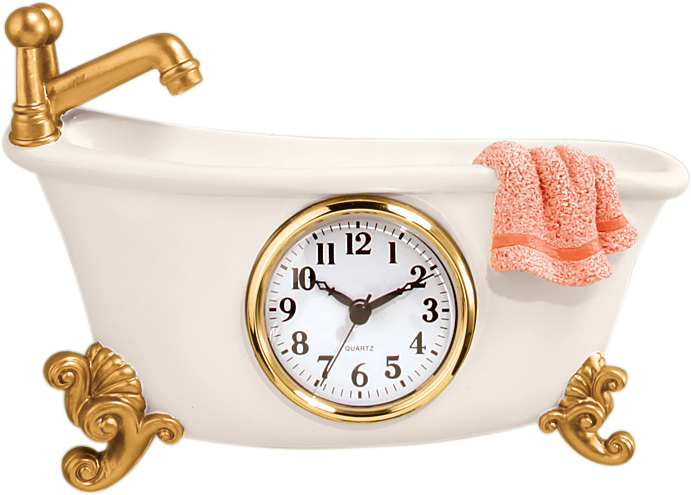 An economical replacement for a kitchen wall clock that finally stopped working after a decade of service. Had a place that needed a clock for convenience. 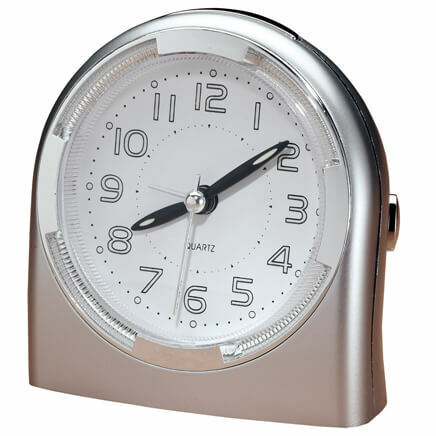 been looking for one of these clocks for a long time,great looking clock. Mom keeps forgetting what day it is. WANTED THE DATE AND DAY FEATURE - GETTING OLD AND SOMETIMES FORGET! all of my clocks died so decided I would try this one. Adorable and will work great in my Lady Cave. A family member has a hard time remembering what date it is. This will be something they can use! I needed a clock in my bathroom also to see the time at night. 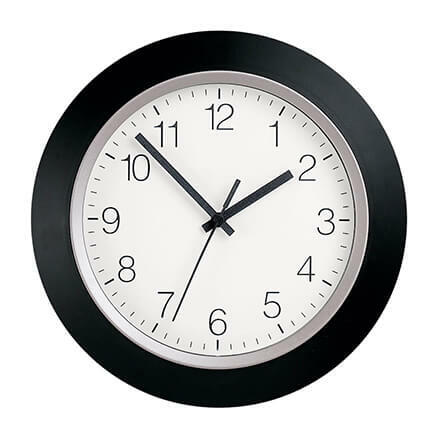 Exactly type and size of clock we wanted. I'm retro myself, it fits me well. My Mother is elderly and sometimes forgets what month and day it is. I think this will make her feel like she's still independant. Time will tell. I bought one of these many years ago and just love it. I find having the date and day on the clock very convenient. For some reason it's not working correctly now so I want a new one. The numbers on the clock are large, so I can see it from a distance. I put it up in my kitchen... I figure that if I'm in the middle of some project and need to know what time it is, I won't have to struggle to see it. And since I'm retired I have found that I lose track of what day of the week it is, or the date, and this clock has that feature. I ordered this because since being retired I don't always know what day is. To teach my Granddaughter to learn how to tell the time...Love the big Numbers with actual minute marks on it and the Calendar also!! mother-in-law with alzheimer's can never remember what day it is. I'm hoping this will help her. PERECT wall CLOCK, with day and date for my 89 year "young" father. My wife is frequently asking "What is the day of the week?" I need a clock that I can read from a distance. To help my mom know the day of the week. The clock keeps stopping at night, right after midnight. But when it's barely touched it starts up again. Any suggestions? BEST ANSWER: Thank you for your question. Should you ever receive a damaged or defective item, please do not hesitate to contact us at the toll free Customer Service number so that we may assist you in resolving the matter. We hope this information will be of help to you. I have the same problem. If any solutions are found, I'd like to know. Is this clock quiet, or does the second hand make noise? BEST ANSWER: This clock is hanging in a busy office. My husband states that he does not hear any noise. He does love it since it is very easy to read from anywhere in his office and it also includes the date. The second hand makes noise -- a question I should have asked before purchasing! No ticking heard on second hand! what color is the clock? BEST ANSWER: Thank you for your question. It is as shown in the picture, the silver gray color. We hope this information will be of help to you. Grayish silver frame black lettering on white background with red second hand.